The founders of CoreLife Eatery, an active lifestyle restaurant with a fresh concept that’s quickly sweeping the nation, are proud and excited to announce the brand has recently been honored by several leading media outlets within the restaurant industry. CoreLife Eatery claimed the top spot on this year’s Future 50 list, presented by Restaurant Business. This list highlights new cuisines that are rising to the top, signaling increasing acceptance of different ingredients, flavors and formats. Foodable, the Network for the restaurant and hospitality industry, ranked CoreLife Eatery at #4 on its 2018 list of Top 150 Emerging Brands. The Top 150 Emerging Brands Guide is an editorial selection from the top 2,500 restaurant concepts in the U.S. that meet two sets of criteria – Innovative Brand Position and Innovative Menu. CoreLife Eatery came in at #9 on the 2018 Fast Casual Top 100 Movers & Shakers. Fast Casual reaches a global audience of industry professionals looking to track the latest food and beverage trends, top markets for growth and hot concepts. For the past 14 years, the Top 100 Movers & Shakers list has recognized the industry’s most innovative brands. QSR Magazine named CoreLife Eatery on its list of 11 Restaurant Franchises on the Cusp of Greatness. QSR delivers news and information on the quick-service and fast-casual restaurant industries. This list highlights franchised concepts that are ready for, and worthy of, major growth and expansion. 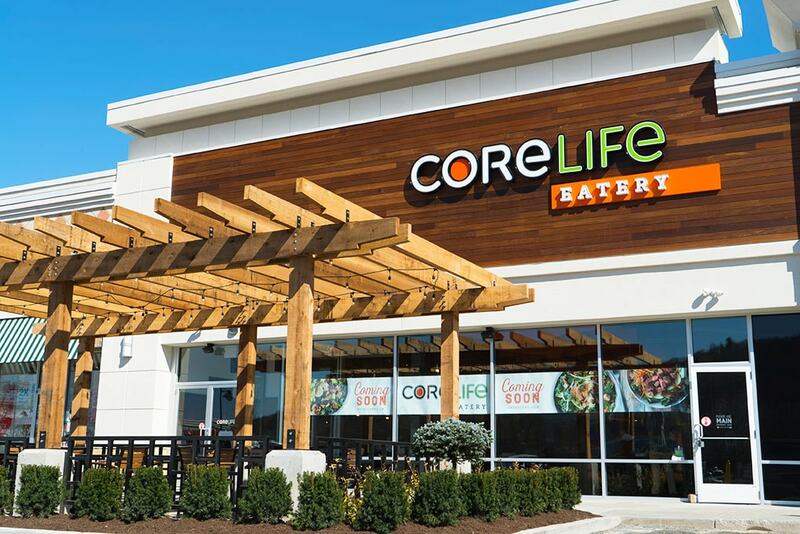 CoreLife Eatery was ranked #1 on The 10 Fastest-Growing Emerging Chains in 2018, presented by Restaurant Business. This annual list showcases the fastest-growing emerging restaurant chains in the country. CoreLife Eatery brings together scratch cooking with flavorful source ingredients and a fast, casual service line for a healthy and affordable eating alternative. The brand offers a wide variety of fresh ingredients that are transformed into custom-created greens, grains and broth-based dishes. All foods are free of trans fats, artificial colors, sweeteners, other artificial additives and GMO’s. The chicken and steak used are sustainably raised and never given antibiotics or hormones, and the bone broth is slow simmered all day for maximum taste and nutrition. Creating a menu that tastes great because it’s healthy is the secret to CoreLife Eatery’s success. CoreLife Eatery strives to promote active lifestyle activities by offering and participating in a number of health-related events in the community. CoreLife Eatery staff are proactively sharing their food concepts as well as wellness ideals through talks at local organizations and participation in community events.